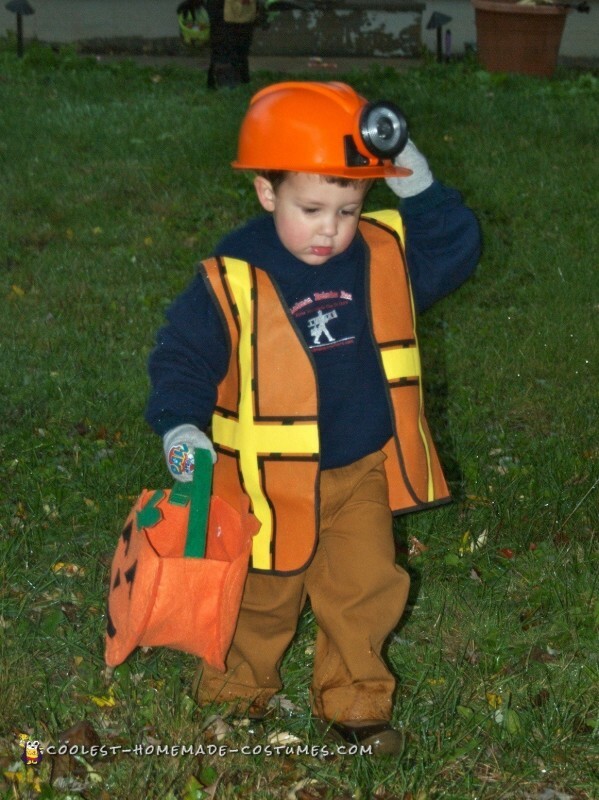 My son loves his “diggers” – any and all construction vehicles. 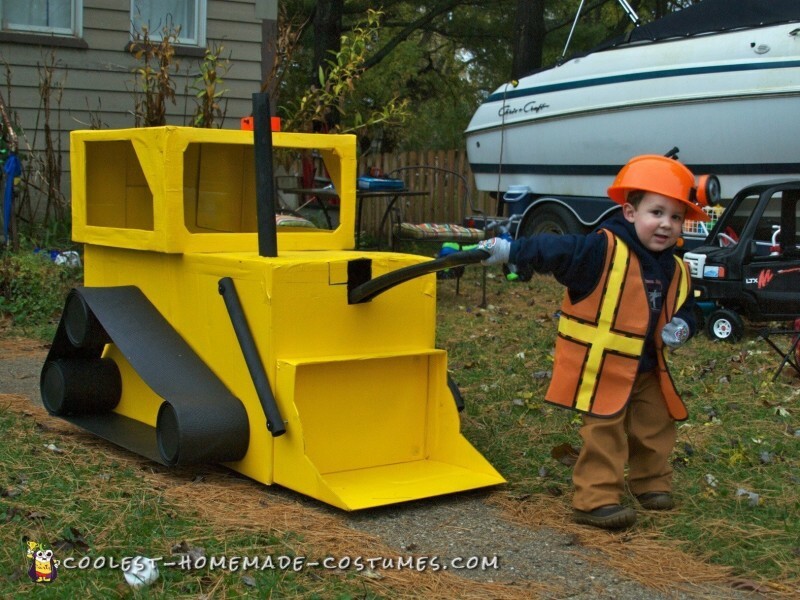 We knew he would love to dress up as a construction worker, and wanted to be able to pull him in his wagon when he got tired. So a quick inspirational search on Pinterest, and we began collecting materials over the past few weeks! The body of the bulldozer were boxes from power washers. We also saved tubes from paper rolls. The track was made out of paint cans and a yoga mat. 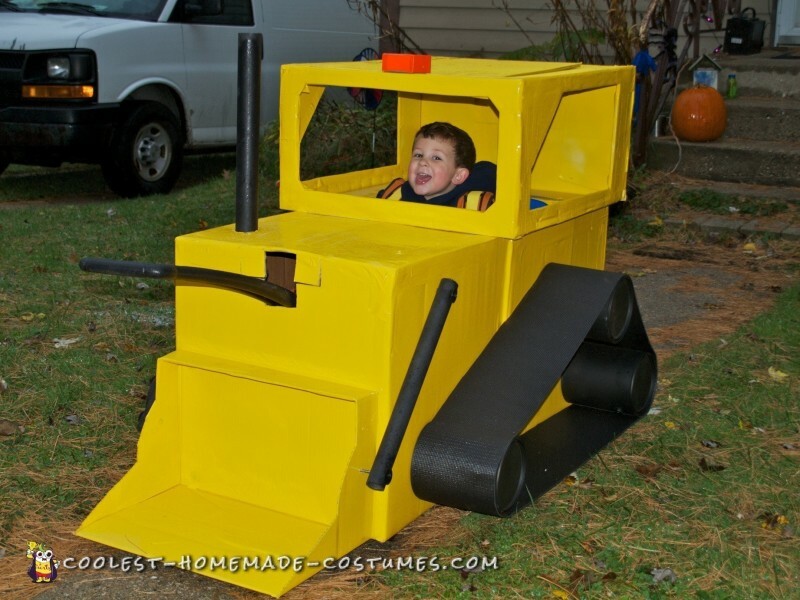 The “digger” was the hit of the neighborhood! We were frequently stopped to talk about it, how it was made and how amazing it looked. We were often told it was the best costume that was seen and quite a few people took pictures!